With Sigma, you can specify multiple columns to sort by, enabling you to specify how duplicate values are sorted. This functionality can ensure that your sort order is unique, which is necessary when you are setting up Window Functions. 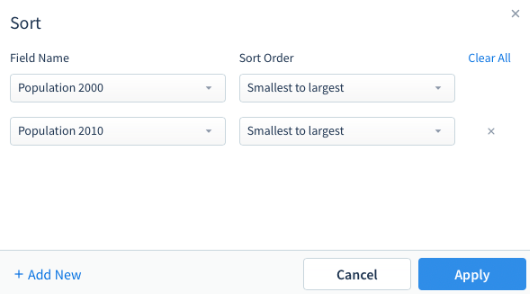 Using the Sort window, you define your rules for sorting. Your Worksheet will sort according to the first rule. If a duplicate value is found, then the second rule will be applied. You can add as many rules as necessary to ensure that there are no additional duplicate values. Click apply to sort your Worksheet. The top rule is the first rule to be applied. If a duplicate value is found, the second rule will apply. 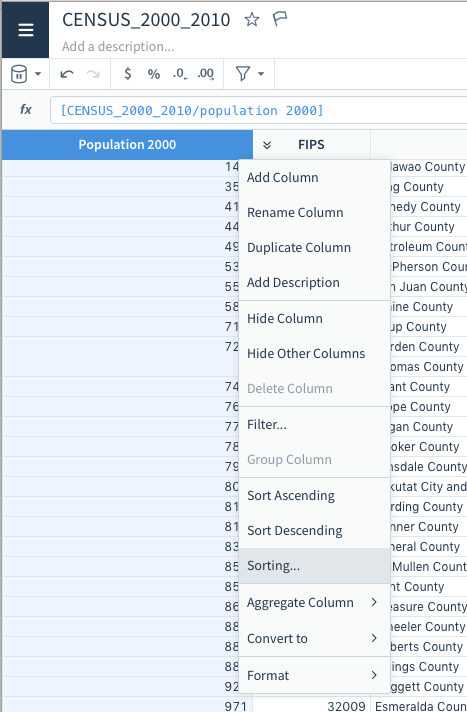 Once your Worksheet is sorted, the columns that affect sorting will be indicated in the column inspector on the right hand side of your screen. 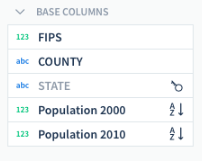 Icons to the right of the column name will indicate that the column is affecting sort order and if the sort order is ascending or descending.